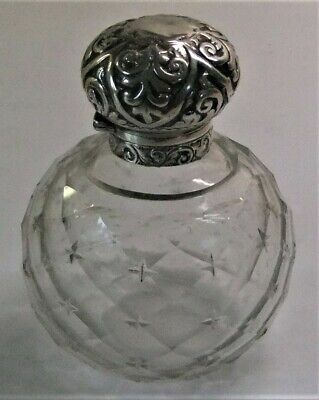 Victorian Silver/cut Glass Screw Topped Scent Bottle.birmingham.1895. 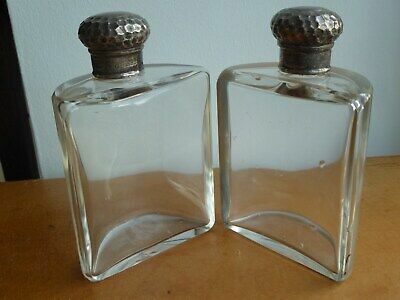 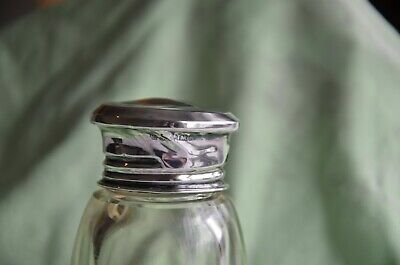 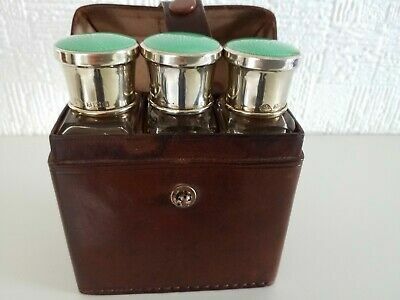 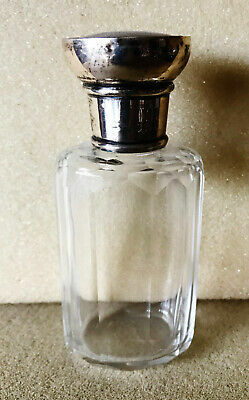 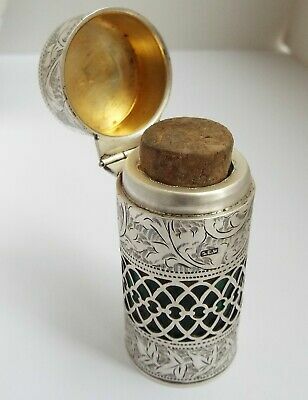 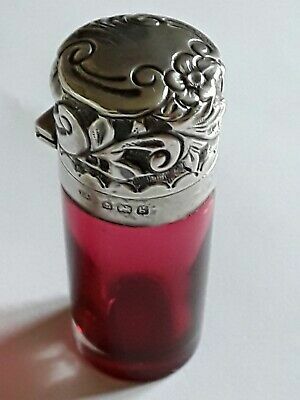 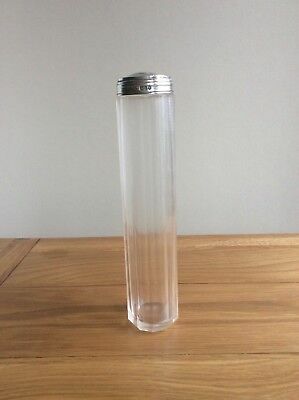 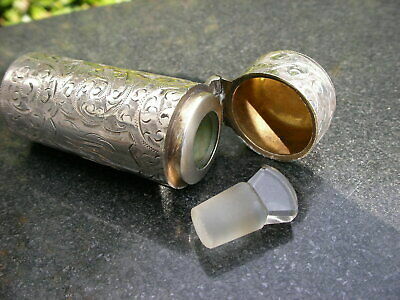 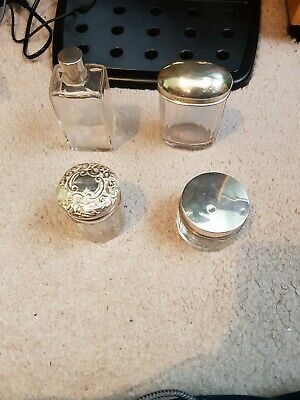 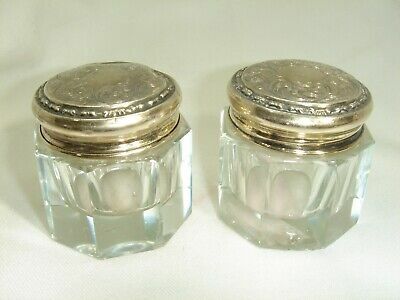 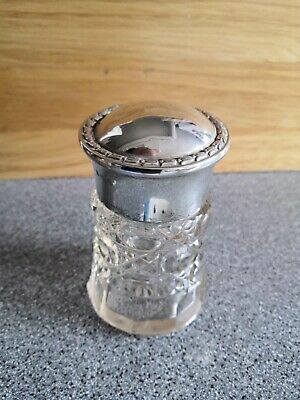 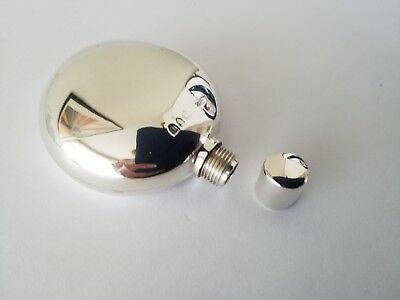 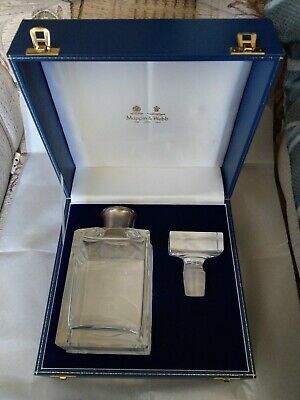 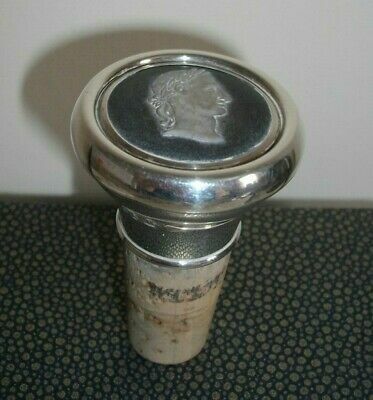 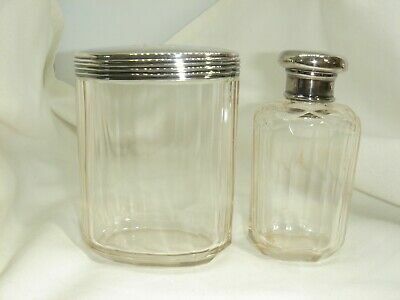 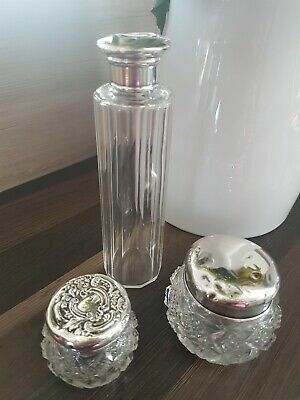 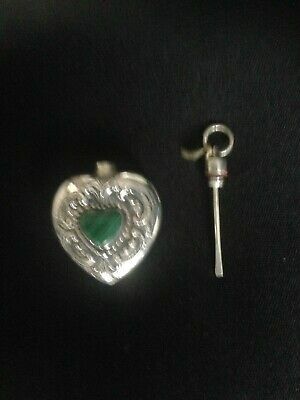 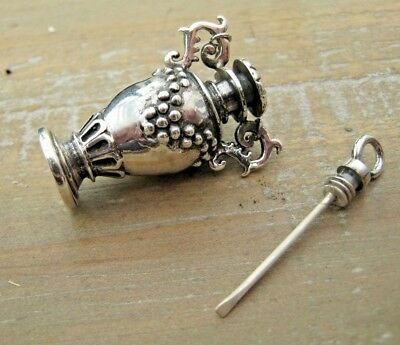 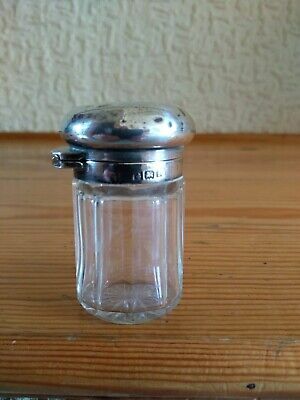 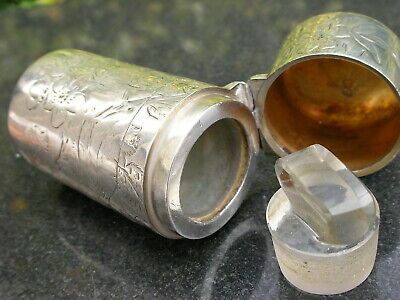 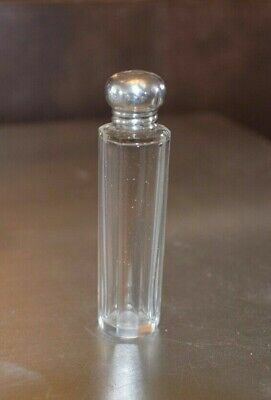 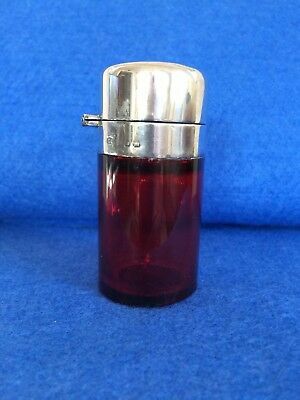 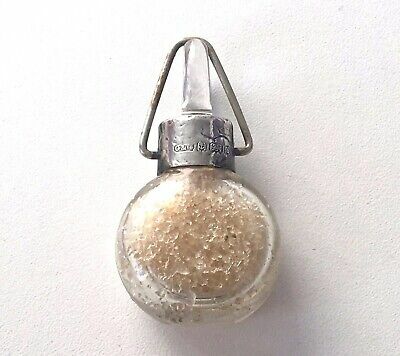 Vintage/Retro Solid Silver Hallmarked Perfume Bottle & Funnel. 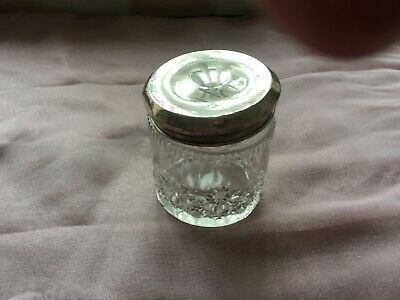 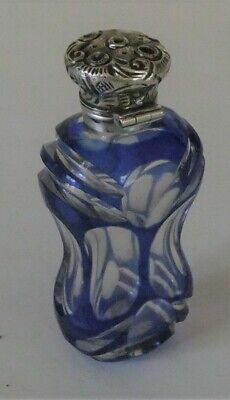 Antique Silver Hinged Blue/clear Overlay Glass Scent.unmarked Tests Silver. 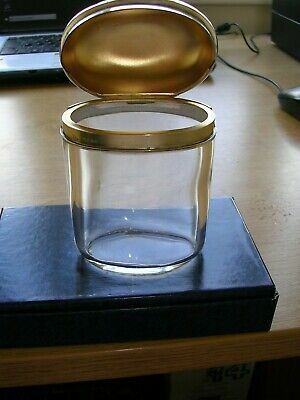 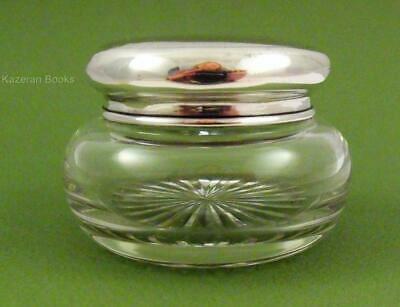 Solid Silver And Faux Tortoise Shell Topped Glass Vanity Jar. 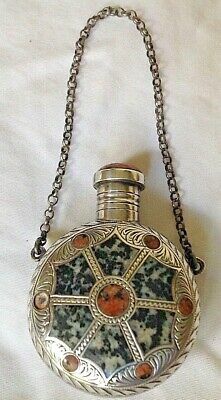 London 1923 A 383. 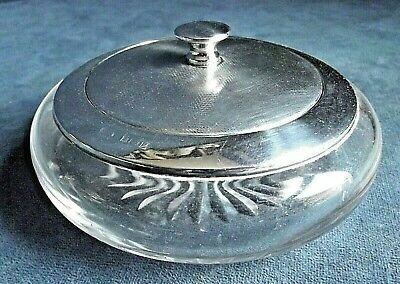 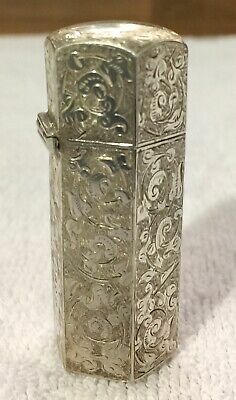 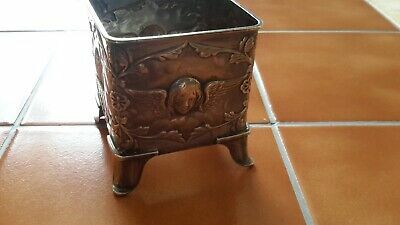 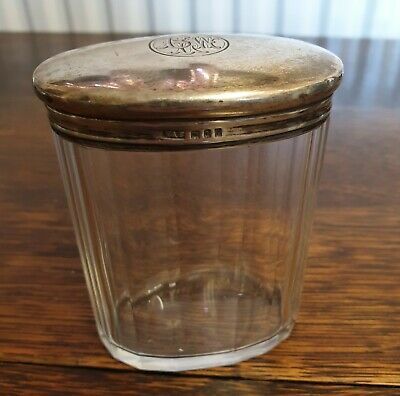 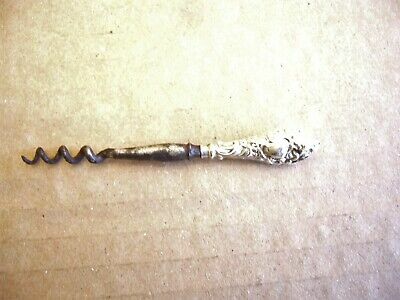 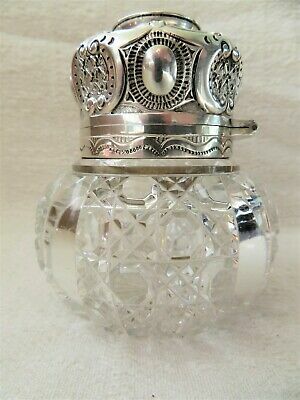 Large Antique Silver Hinged Pine Apple Scent.birmingham.1923. 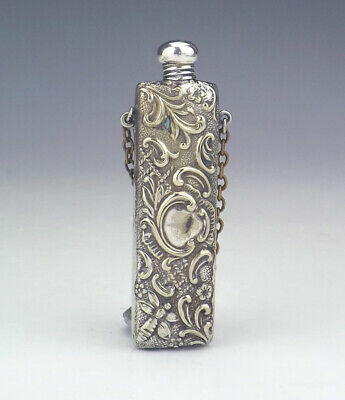 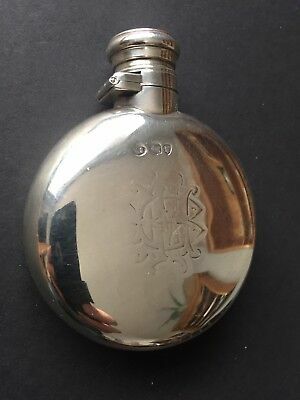 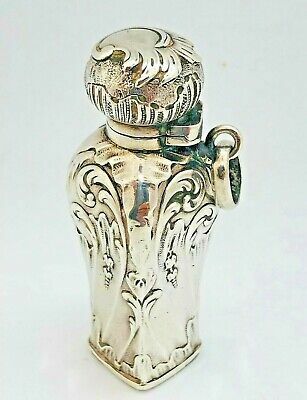 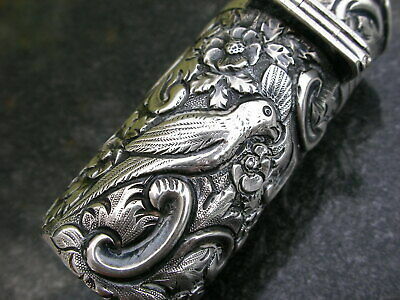 19th Century Victorian Silver Flask -1874. 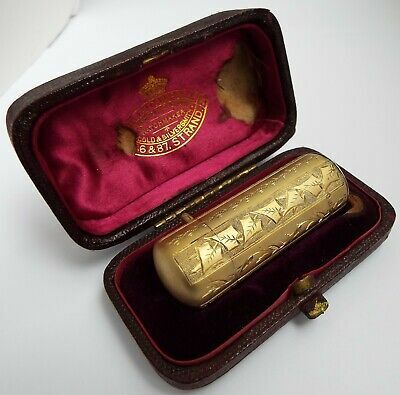 William Summers London. 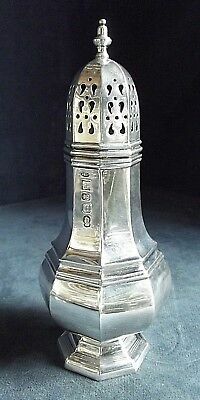 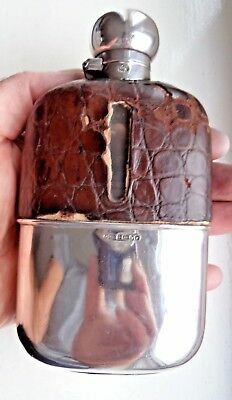 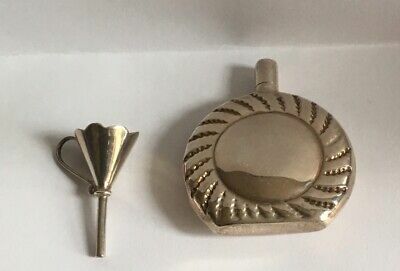 William Comyns solid silver bottle holder. 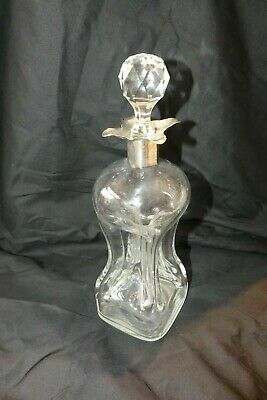 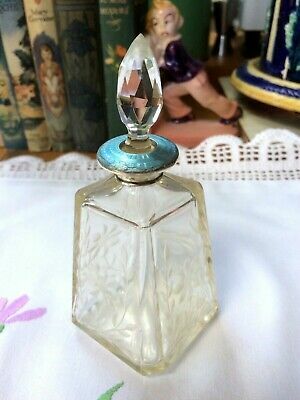 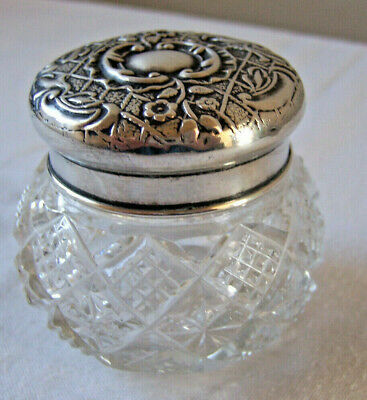 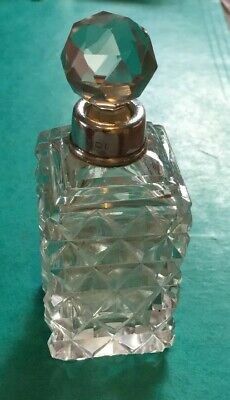 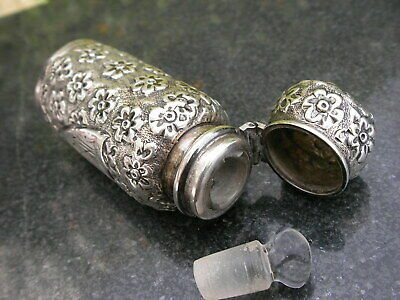 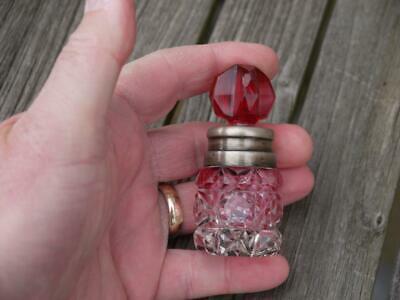 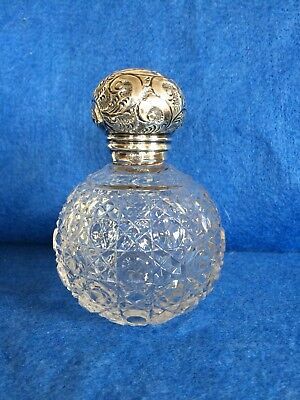 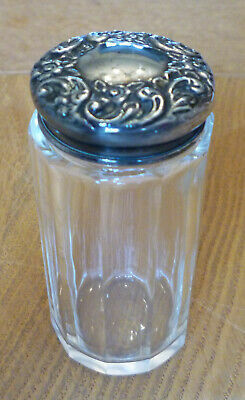 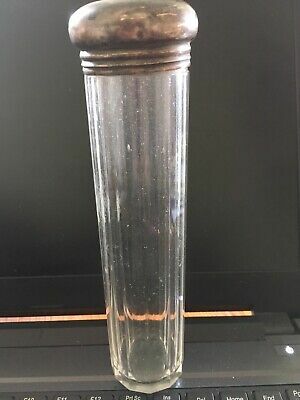 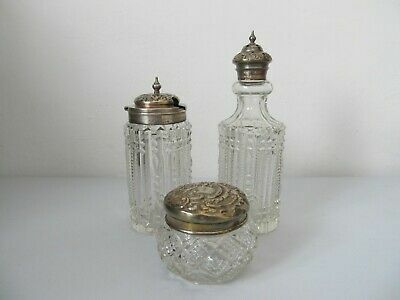 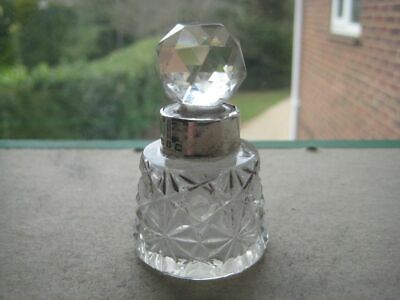 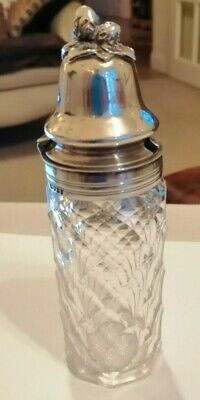 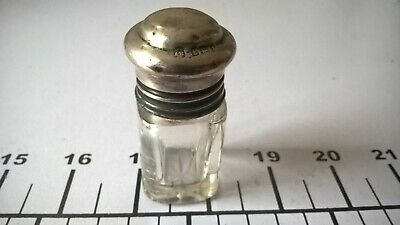 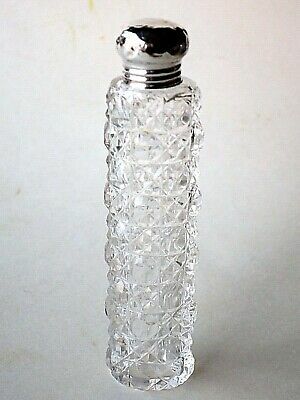 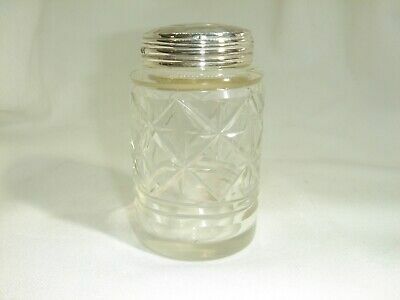 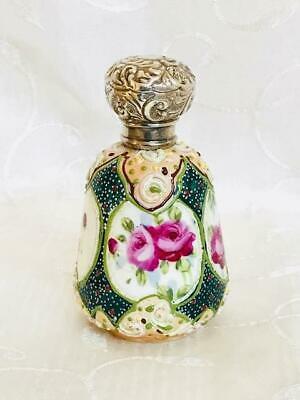 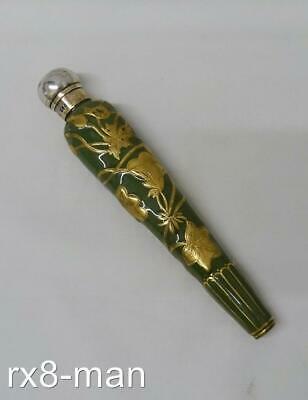 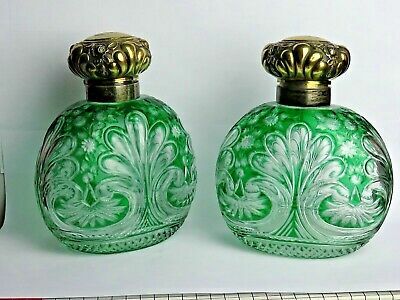 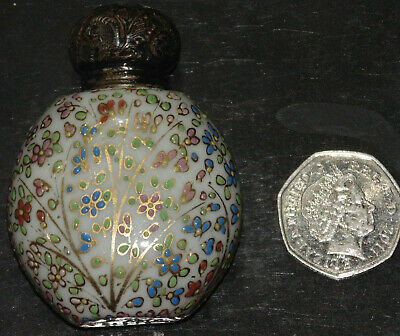 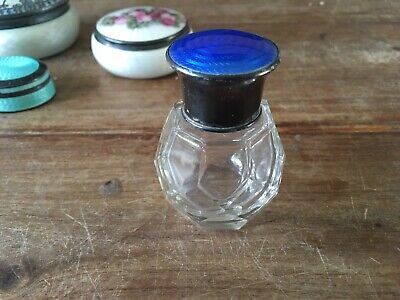 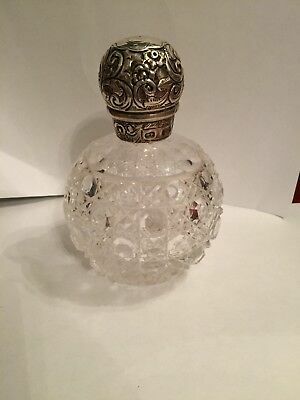 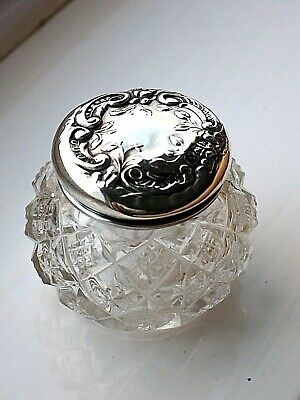 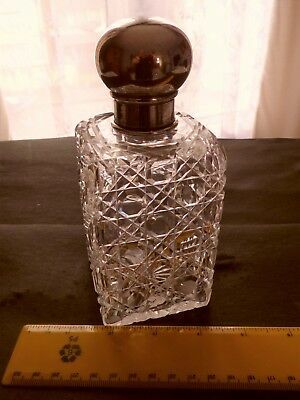 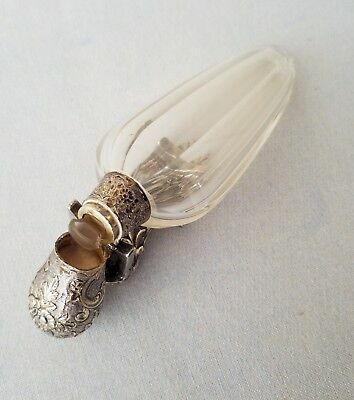 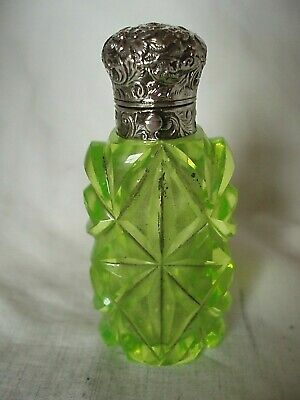 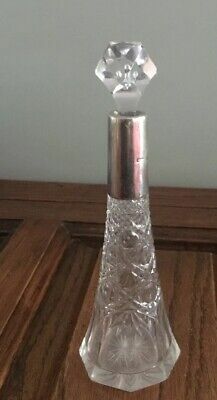 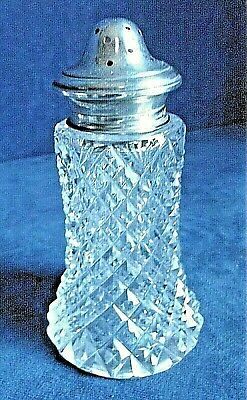 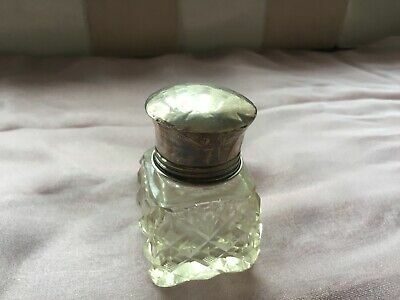 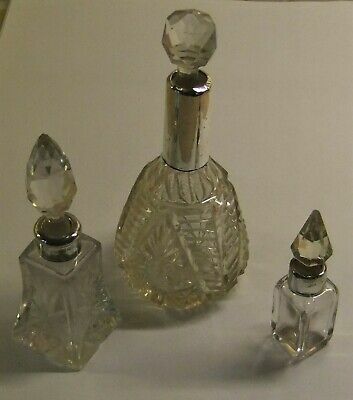 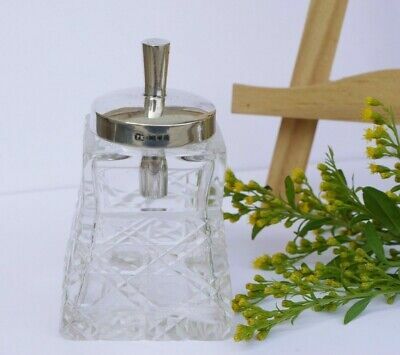 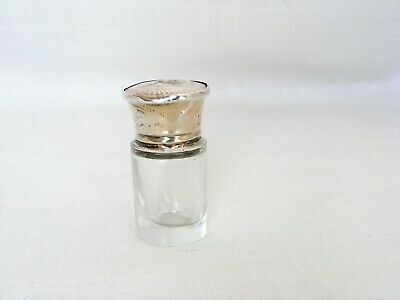 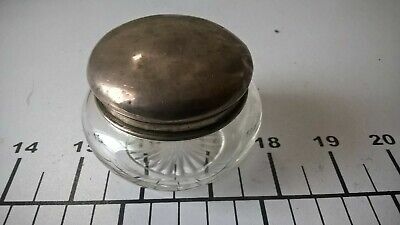 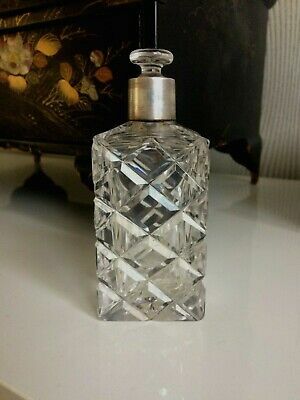 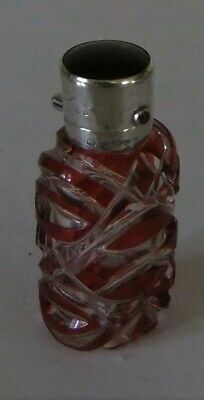 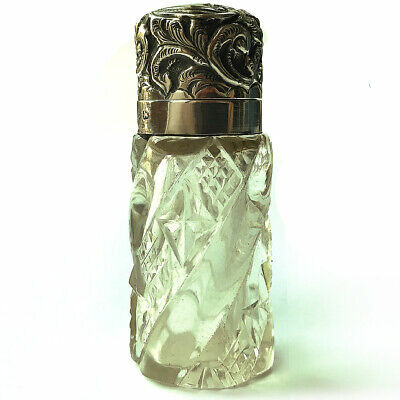 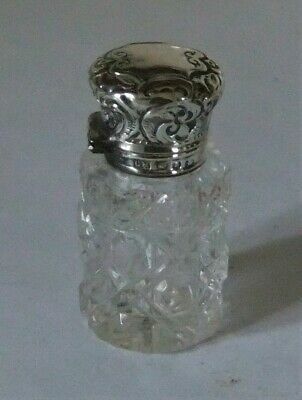 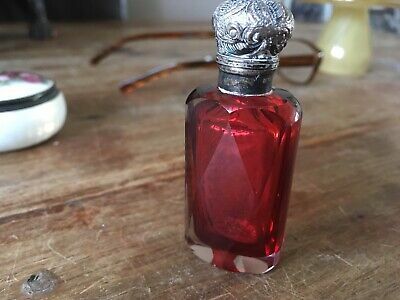 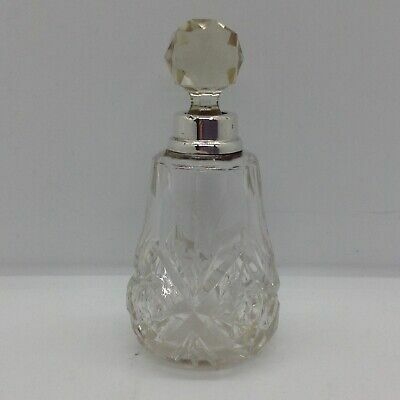 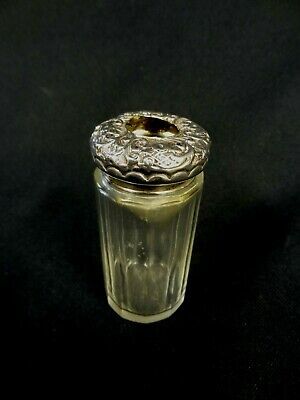 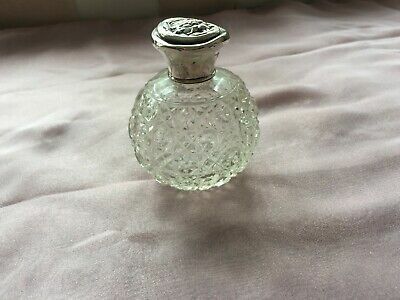 Antique victorian cut glass silver topped perfume bottle . 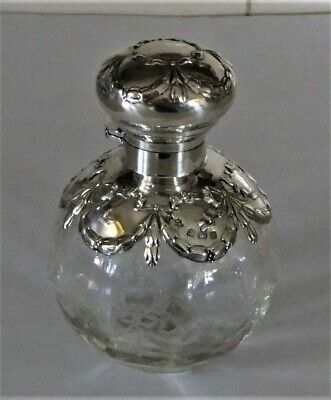 Hallmarked Solid Silver Victorian Cut Glass Decanter B/ham 1900.